The Sustainable Green Printing Partnership (SGP), the leading authority in sustainable printing certifications for print manufacturers, announced Farnell Packaging Limited of Dartmouth, Nova Scotia has achieved SGP certification. 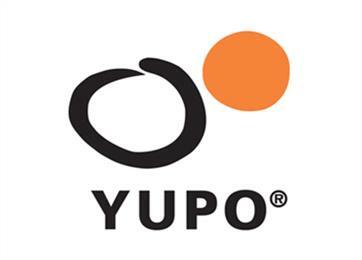 he Sustainable Green Printing Partnership (SGP), the leading authority in sustainable printing certifications for print manufacturers, announced Yupo Corporation America is the latest SGP Patron at the silver level. Through patronage, Yupo Corporation America, along with other industry leaders dedicated to promoting sustainability, support SGP and keep costs low for certification of print facilities. 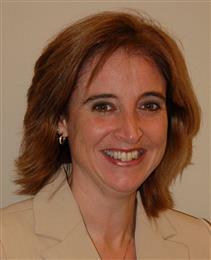 The Sustainable Green Printing Partnership (SGP), the leading authority in sustainable printing certifications for print manufacturers, has elected a new slate of officers for 2018, led by Jodi Sawyer of FLEXcon. 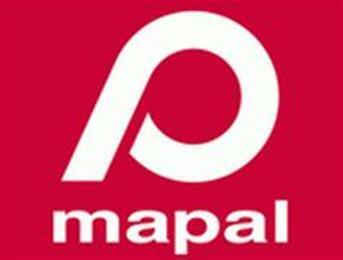 The Sustainable Green Printing Partnership (SGP), the leading authority in sustainable printing certifications for print manufacturers, announced Mapal Plastics is the latest SGP Patron at the silver level. Through patronage, Mapal Plastics along with other industry leaders dedicated to promoting sustainability, support SGP and keep costs low for certification of print facilities. SAYVILLE, NY – December 5, 2017 – The Sustainable Green Printing Partnership held its SGP Community Day on November 14, 2017 in Portland, Oregon. The event brought together leading print professionals, brands and sustainability champions for conversations on growing strategic programs and partnerships. The conference included presentations and lively discussions on procurement, circular economy and sustainability practices from leading companies. Jeremy Carroll, Co-Founder of Latitude, a brand and experience design firm, inspired the group with the story of his organization and its impact on their customers, supply chain and the world. SAYVILLE, NY - Nov. 28, 2017 - The Sustainable Green Printing Partnership (SGP), the leading non-profit organization that certifies printing facilities' sustainability best practices is pleased to announce Veritiv Corporation as the newest SGP Patron at the silver level. Based in Atlanta, GA, Veritiv Corporation (NYSE: VRTV) is Fortune 500 business-to-business distributor of packaging, facility solutions, print and publishing products and services. Additionally, Vertiv provides logistics and supply chain management solutions. The company's recent support of SGP further underscores the company's ongoing commitment to sustainability practices. SAYVILLE NY – November 21, 2017 – The Sustainable Green Printing Partnership (SGP), the leading authority in sustainable printing certifications for print manufacturers, has elected two new members to its Board of Directors and two reappointments. 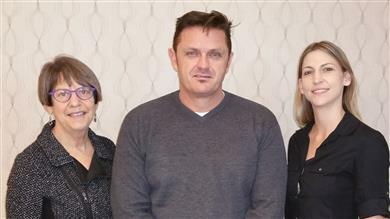 Joe Stapley and Nicole Papadakis are new board members while Lynn Krinsky and Brett Thompson had their terms extended three more years. SAYVILLE, NY – November 1, 2017 – The Sustainable Green Printing Partnership (SGP) is pleased to announce that they will be hosting the Partnership for Sustainable Print dinner immediately following their Community Day conference on November 14th in Portland, Oregon. The dinner will feature inspiring conversations on all things sustainable with leading brands, sustainable print providers and current and prospective SGP members. The invitation-only event will be held at Cooper’s Hall from 6:00 to 10:00 p.m.
Sayville, NY– The Sustainable Green Printing Partnership (SGP) is pleased to announce that flexographic printer, Bay Tech Label of St. Petersburg, FL, has earned SGP certification. Sayville, NY – September 7, 2017 - The Sustainable Green Printing Partnership, a non-profit organization that certifies printing facilities’ sustainability best practices, is pleased to announce that SGP Community Day will take place on November 14, 2017 in Portland, Oregon. The event, will be hosted at The Duniway in downtown Portland, will bring together leading print professionals, brands and sustainability champions in an effort to grow strategic programs and partnerships. Sayville, NY – The Sustainable Green Printing Partnership (SGP) announces the SGP Community Day, November 14, 2017 in Portland, Oregon. The event will bring together leading print professionals, brands and sustainability champions in an effort to grow strategic programs and partnerships. Sayville, NY– August 15, 2017 – The Sustainable Green Printing Partnership (SGP), a non-profit organization that certifies printing facilities’ sustainability best practices, announces recertification of 10 facilities across the United States and Canada.